Steve Silver Company Crowley Sofa Table, 48" x 20" x 30"
Product prices and availability are accurate as of 2019-04-14 19:18:05 UTC and are subject to change. Any price and availability information displayed on http://www.amazon.com/ at the time of purchase will apply to the purchase of this product. 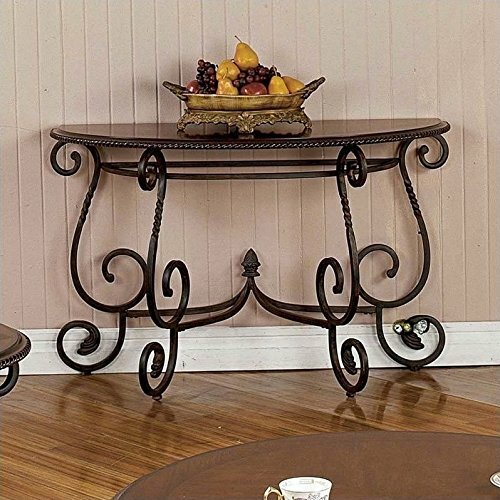 Bring the unique look of "Old World" style into your home with the elegant Crowley Sofa Table. 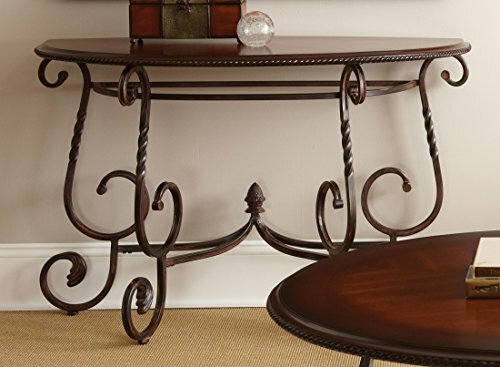 This table adds the rustic, rich look of timeless Spanish and Mediterranean style to your decor. Pieces of the Crowley collection are heavily detailed with carved accents scalloped edges. The curved base supports a beautifully veneered pattern top.